Some might call you brave…some might call you crazy…regardless of the name, we’re all here because we just want someone to call us. Using an online dating site used to be something only reserved for the crazies and the weirdos. It was something you only did if you were certifiably strange and not in the fun way. However, times have changed. As people continue to get busier and busier, online dating sites have become much more attractive. You can only meet so many sloppy drunks in a bar before you realize it’s time for a change. Dating sites have become Superman (or Superwoman) to the rescue for those of you that are busy with your careers and life or are tired of the lack of quality your usual scene has to offer. Online dating is no longer strange but is quickly becoming the norm. If you’re new to the scene and this is your first stop, welcome! You’ve taken a big leap of faith by just coming here and we want to assure you that you’re in good hands. Our site is here to walk you through every step of the process and hold your hand until you find someone else to take our place holding it. Why should I read online dating site reviews? If you thought finding a mate was hard, wait till you try and find an online dating site. Ok, we’re being a bit dramatic here, but it can be quite a challenge. With so many options to choose from, it can be hard to know exactly which is the best fit for you. Online dating takes time and sometimes it takes money. If you’re dedicating your time and your money to something, you want to make sure that you’re getting the most out of the experience you possibly can. This is why we take our reviews seriously. Our team goes above and beyond to get you every important detail about these dating sites so that you can know exactly what you’re getting yourself into. Finding that special someone is an experience that is not going to be the same for everyone. Each person will be looking for unique qualities and will have different things that are important to them. For that reason alone, there can’t be one site that is best for everyone. Each person will have a different site that fits them better and is the best in their eyes. When you read our reviews, you can trust that you’re getting the most honest and accurate picture of what it will be like to join these sites. We’ll walk you through the sign-up process, the paid vs. free plans, the perks and features, the type of people, and a whole lot more. We’re confident that if you read our reviews, you’ll be able to ultimately find the special someone that is out there looking for you too. You probably have a lot of questions about how an online dating reviews site works. We’re curious people too, so we totally understand where you are coming from. The way our site works is that we have a team of experts who scour the web looking for any and every online dating site that exists. When we find a new site, our team begins the research process. 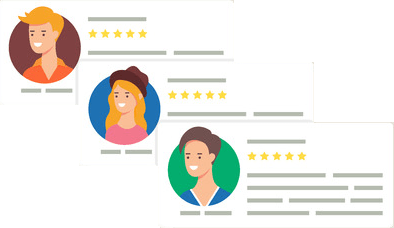 We dig through every piece of the site we can, test it out ourselves, look through customer reviews and complaints, and do everything we can to get the most accurate picture of the site we can. We then take this valuable information and compile it into a detailed review specifically made for you and other singles just like you. The goal of our reviews is simple. We want to help you find love. To help with this, we not only give you reviews, but we put together guides and a fun blog to help you on your journey. We’re constantly adding to our site so check back often if you haven’t found love just yet. Our staff is well aware that finding the best site is only the first part of the battle. Our guides will help walk you through every other aspect of online dating and the process. We’ll help you with creating your account, jazzing up your profile, talking to potential mates, keeping safe, going on the first date, shutting down your accounts when you find that special someone, dealing with support when you have questions, and anything else you could possibly need help with. We are here to make this journey as simple and seamless as possible for you. Dating is hard enough; let us help with the rest. Why are our review the best? You may have stumbled on other review sites or top 10 dating site articles in your search. Sadly, some of these other resources have a lot of issues that we need to bring to light. In all honesty, these sites are the reason we were driven to create what we have. Here’s what you need to know. Most other sites in the industry allow companies to pay them for better reviews and higher placement on their recommended lists. To us, this is unethical. 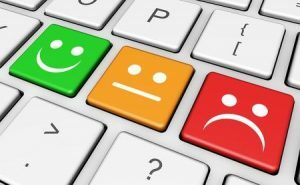 What good is a review to you if the company is bribed to report the quality of the site falsely? The answer is that review is worthless. What good is a top 10 list if the site at the top of the list paid to be there? The answer is that list is worthless. These other companies are effectively just passing off advertisements as reviews and recommendations. We do things different here. We NEVER allow any site to pay for a better review or higher placement on our recommended list. There is nothing they can offer us that would get us to compromise our integrity on this. No exceptions. The only way that a company gets a glowing review and a top rating from us is by providing an exceptional service. Period. End of story. You know that if we tell you a site is great, that it’s great. You’ll also know that if we tell you a site is sub-par, it’s no good. You’ll notice in our reviews that it’s not all positive and rainbows and unicorns. We aren’t scared to address the negatives. We’re not scared to tell sites where they are lacking and where they need to improve. This is never to be mean; we just want to do our part to empower you as the consumer to have the best experience possible. One thing we also do that most sites don’t is update our reviews and content regularly. What good is a review if it’s years old? It’s not. Online dating sites are always adding new features and taking some away and always changing the quality and costs of their products. We do everything in our power to stay on top of these reviews and make sure that the information you are getting is accurate and up to date. Lastly, we care. We care about your experience. We care that you find that special someone. We care that the experience is enjoyable. We care that when you leave our site, you are confident that you’ve found the best online dating sites for YOUR needs. Are free online dating sites better or worse than paid ones? This is one of the most popular questions that we get asked and one that is very important to address. The answer is that free online dating sites and paid sites are both better depending on your situation. If money is extremely tight, but you’re still looking for love, you should go with the free options. They aren’t ideal, but you don’t want to put yourself in a financial hardship just to get a date. If you are doing at least ok financially, we highly recommend paid sites. The quality of potential mates is MUCH higher, the flakiness is MUCH lower, and the overall experience is going to be a lot better. Your odds of finding love at a paid site is much higher than it is at a free site. This is the short answer. If you’re looking to get the long answer or still aren’t sure which is best for you, we highly recommend checking out this dedicated guide we put together that breaks down the pros and cons of free versus paid. What makes a great online dating site? Finding the best sites is all about knowing what to look for. If you’re new to the scene, this can be confusing and overwhelming, to say the least. Thankfully, our expert staff is here to help. They have extensive experience in the industry and can help you to know what to look for when trying to find the best site for you. While there is an extensive list of criteria we look for, there are a few main things that we always look for first. This is something most people don’t think of in the online dating world, but it’s extremely important. You need to know before you give all of your personal information and payment information to a company that you can trust them. You need to know that they have systems in place to protect your information and that you can rely on them not to sell your information to third-parties. We get under the hood and do our best to find the sites that are not up to par here. An online dating site could be the best site in the world in every other category but instantly becomes worthless if they don’t have a lot of great matches to choose from. Here’s an analogy. Imagine that you are going to the greatest bar in the world to meet people. This bar has the best drink specials, the coolest atmosphere, and the best music…but there are no people there. Is that really the best place to meet potential matches? Nope. We investigate each site to see what kind of traffic they have. Some sites are going to be smaller than others which is ok especially if you are looking for something in particular, but you don’t want to be on a site with a bunch of fake profiles or profiles from years ago that are no longer active. No one likes going to a poorly designed and crowded bar to meet people. It’s uncomfortable and can give you a headache before you even talk to anyone. The same is true with web companies. Sites should be user-friendly and simple for you to navigate. You should be able to browse matches easily and sort in any way you see fit. Things should not be difficult to find, and you should enjoy your time on the site. A poorly developed site can lead you to get frustrated (and can lead your potential mates to get frustrated too). Our team of experts will lay out every detail of the interface and let you know exactly how easy it is to use and what things you will like and what you won’t like. While trust and reliability will always be the most important, the user interface is a close second. Go to the Reviews Now!